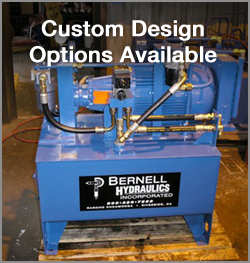 Bernell Hydraulics has been a trusted name in the hydraulic parts and service business since 1977. Over our many years in the business, we’ve developed a thorough understanding of all things hydraulic, including industrial hoses Ontario CA. We carry a huge supply of standard hose sizes in various temperature and pressure capacities at our three stores, and we can also help with special orders and custom hose fabrication. Next time you require a hose replacement, make us your first call. If we have the item in stock we can even come install it through our Hose Doctor service. If your industrial hoses Ontario CA are prone to leaks or seem to require replacement more often than they should, you may be using the wrong hoses and fittings for your application. Call Bernell Hydraulics and we’ll send an expert technician out to perform hose analysis on your equipment and determine what can be done to ensure you get better performance out of your hoses. The solution might require rerouting a hose to reduce abrasion and vibration, choosing a hose with a higher pressure capacity, or even performing maintenance on your hydraulic system to make it run cooler. Making do with generic hoses that aren’t specifically made for your equipment means that you have to mess with cutting and crimping the hoses and adding the necessary thread configurations. You can save yourself time, money and trouble by ordering custom industrial hoses Ontario CA that have been made to your exact specifications from Bernell Hydraulics. We have the tools and experience required to handle all your needs right in our workshop.